Particularly prevalent in the South and West but found throughout the United States, red clay soil is quite a nuisance. Like all soil, red clay turns to mud when it's wet and easily finds its way onto clothing, carpets and upholstery. Unlike other soils, however, it is difficult to remove and often leaves a red stain behind. This is particularly problematic with baseball uniforms, where one heroic slide into home plate can leave a red dirt stain worthy of admission into the hall of fame. The key to removing red dirt stains is tenacity. There are several cleaning solutions that can do the job, so start with the mildest one and work your way through the pack until you find what works. Starting with the gentlest approach lets you remove the stain with the least amount of stress to the fabric you're trying to save. Red clay dirt leaves behind tough stains. Allow the clay to dry, and then scrape as much if it off as you can with a spoon. If the stain is on carpet or upholstery, vacuum the area after scraping it. Rub liquid dish-washing detergent onto the stain and allow it to sit overnight. Create a paste of equal parts powdered dishwasher detergent and water. Apply the paste to the stain, and allow it to sit for three hours. Apply a liquid oil soap to the stain, and let it sit for 15 minutes. Combine powdered, bleach-free laundry detergent and ammonia to make a paste. Spread the paste on the stain, and allow it to sit for 10 minutes. 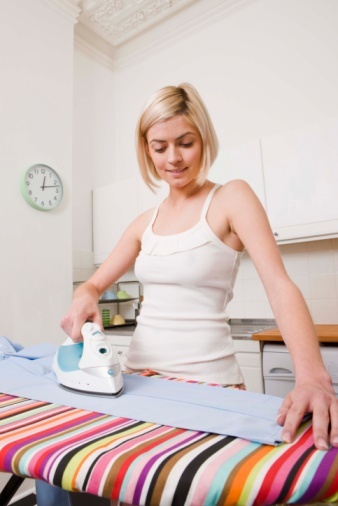 After treating the stain, wash the garment in the hottest water allowed per the care label. For carpet and upholstery stains, use a damp white cloth and cool water to carefully rinse the treated area, dabbing rather than rubbing so as not to spread the stain. Line dry your garment. If the stain is still present, repeat the stain-removal process using a different stain treatment. As long as you haven't run the garment through your clothes dryer and set the stain, a tougher cleanser should remove it.